To paste a data function into your worksheet using Jedox Excel Add-in, select a cell and click on Paste Data Function in the Jedox Ribbon (see image below). 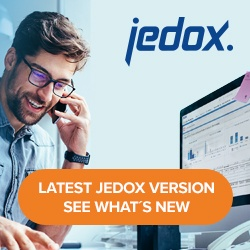 If you are using Jedox Web, go through the Query menu item. *Note: In Jedox Web, these functions are not available in the Paste Data Function dialog. They must be entered directly in the formula bar. For more information, see Jedox PALO/OLAP Functions. The PALO functions can display a cube cell value in a spreadsheet cell or write back a spreadsheet cell value into a cube cell. First, you have to select the database at the top of the dialog. All cubes within the selected database are listed below. Select the cube you want to address and choose a data function. Click on Paste to insert the function into the selected spreadsheet cell. Note: The cube “Status” has only string cells. Because of that you don’t get back a value in the spreadsheet cell. In addition, the element of the dimension “Years” was not found. There is also the first element (“All Years”) used. That’s because the searching area for “Guess Arguments” only contains (beginning with A1) the spreadsheet cells above and to the left of the active cell. For function PALO.SETDATA, the first argument is not effected by “Guess Arguments”. It must be set manually.